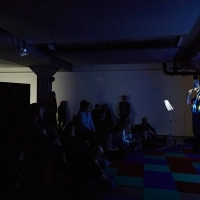 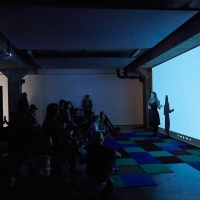 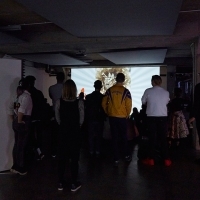 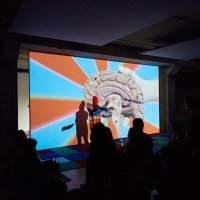 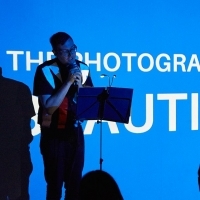 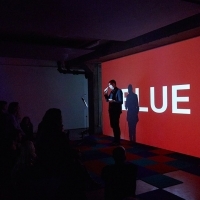 On the evening of 7th October Block 336 will stage two live performance works, I AM YOUR ERROR MESSAGE, a hybrid live/video performance piece by Jennet Thomas, and Red and Blue by the musician and composer Leo Chadburn. 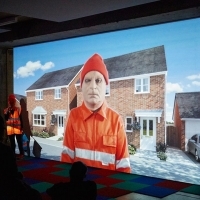 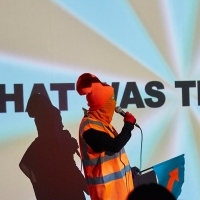 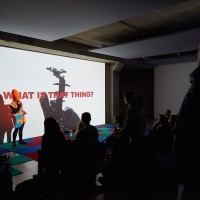 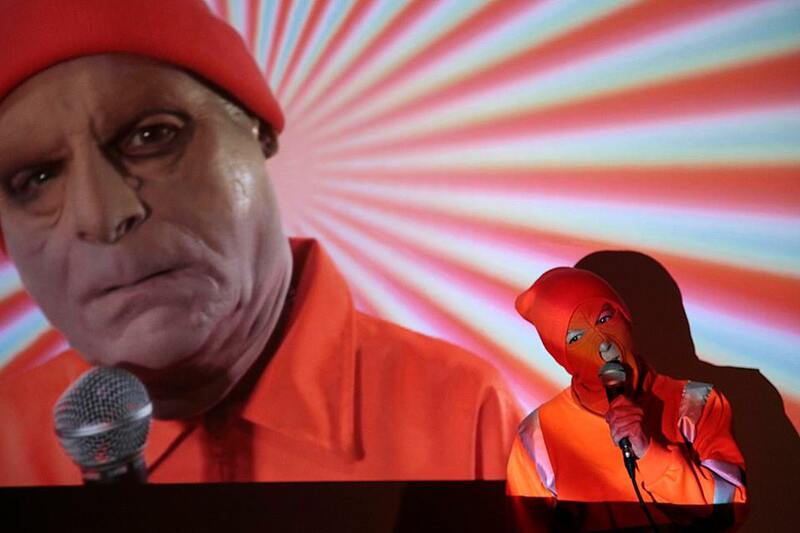 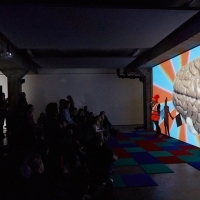 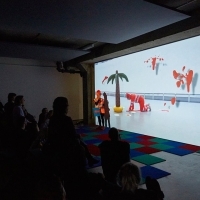 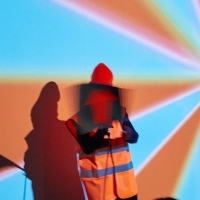 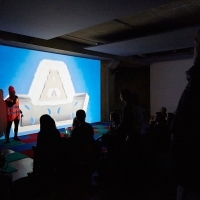 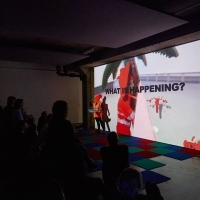 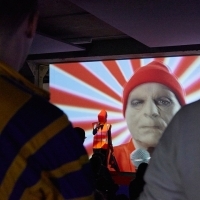 Consisting of a duet between two Safety Orange costumed performers, one inside the screen and one in front of it, I AM YOUR ERROR MESSAGE explores reality decay in Thomas’ characteristically anarchistic and bleakly humorous style. 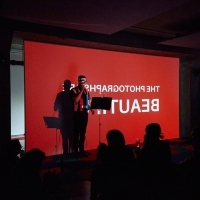 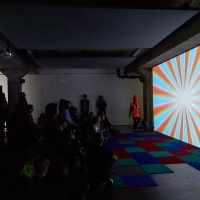 Chadburn’s Red and Blue, developed in relation to Thomas’ The Unspeakable Freedom Device for which he also wrote the musical score, comprises of twelve fragmentary songs; an extended, kaleidoscopic single or abstract, experimental radio play. 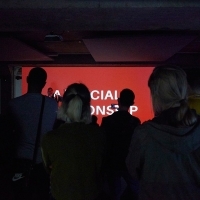 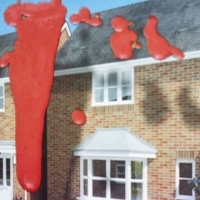 The text is inspired by the correspondence between Margaret Thatcher and Ronald Reagan, the twin icons of right-wing politics throughout Chadburn’s 1980s childhood in a UK East Midlands ex-mining town. 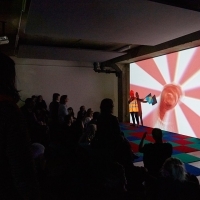 Thatcher and Reagan’s words are fractured and half-remembered in the surreal ‘libretto’, which imagines the two politicians as a pair of ‘televisual spectres’.